The history of pide is a bit patchy; some say it derived from the the Ottoman bread tokalak. Others claim it was invented in the 1920s to be economical with the meagre ingredients available after the war in Turkey. But what everybody does agree on is that pide originated in the Samsun area of Turkey. 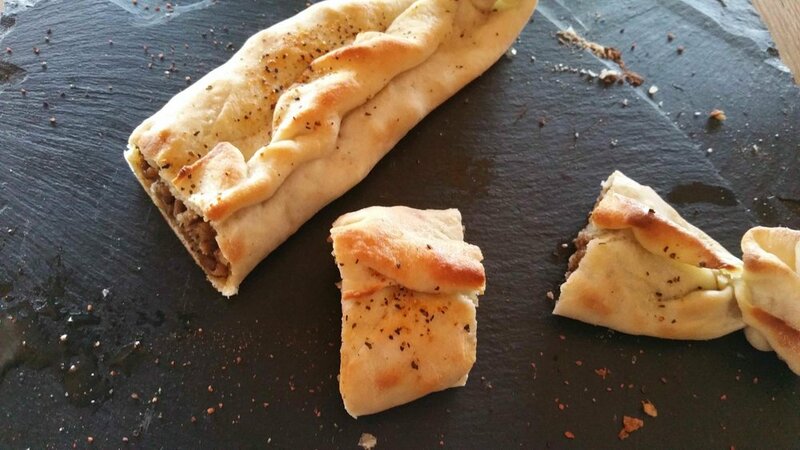 For our recipe, we have used the filling of the traditional Samsun pide ‘kiymali’ which features a filling of lamb, onion and black pepper, which forms a long, baguette-like shape. An alternative to this shape is a more modern, pizza-like, open shape with edges folded-in to make it a neat bundle to pick up and eat on the go. Toppings can vary; spiced vegetables, Turkish cheeses and many different spices can be used. We at Harrison HQ have also made breaksfast pide with egg and bacon and a desert pide with peaches and custard, which was particularly popular with our friends and family. Traditionally, the Pide dough is left to rise for 12 hours before being cooked in a wood-fired oven. 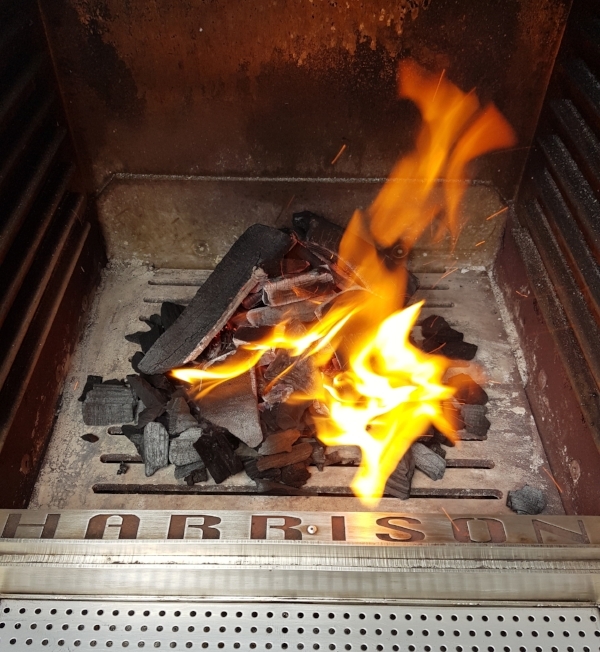 Our recipe is much quicker and is cooked in a beautiful, Harrison Charcoal Oven. 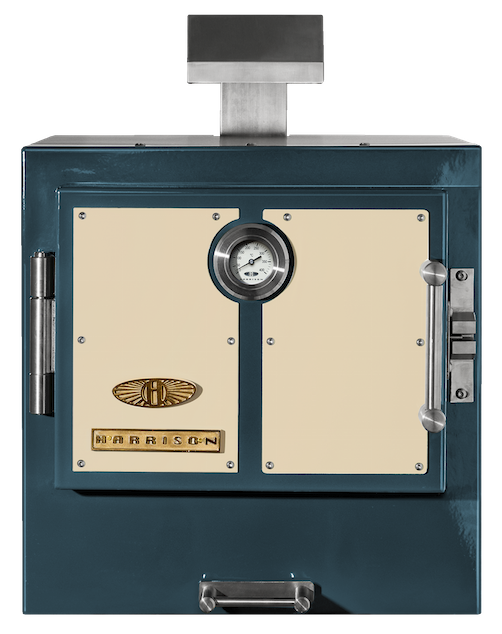 A Harrison Oven does also cook exceptionally well on wood, but the main point is the oven is very hot, so the bread cooks fast and has lots of butter to stop it drying out and of course to add a gorgeous creamy, salty flavour. For further reading about Pide bread, see The Guardian’s article about Pide by food writer Xanthe Clay. Heat Harrsion to 250 °C. The Harrison Charcoal Oven Classic Collection comes in many colours, this one is Parrotfish with a Horseraddish panel. The Harrison charcoal oven baked breakfast and desert pides are particularly popular with friends and family.